Egg LDN’s stand-out feature is the Garden - stylish and intriguing. Partly shaded by the newly extended second roof terrace, it boasts two cocktail bars, a VIP lounge area and a huge LED screen perfect for branding. During the winter months 3 heated marquees cover the area and are transformed into a warm and homely ski lodge. 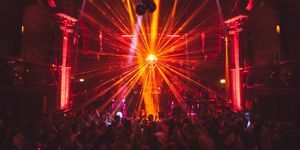 The ability to adapt at this scale is something only a limited number of venues can boast, easily making the transition from the summer to winter months. The Garden can hold up to 250 people for events including canapé receptions, summer barbecues, fashion shows and product launches. 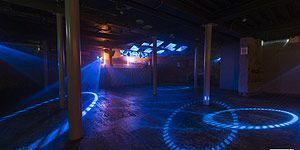 On the same level as the Garden, the Ground Floor is perfect for team building events, exhibitions, performances and sit down seminars, as well as providing the ultimate space for live production and late night parties. 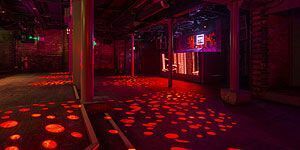 With a high spec DJ booth, video wall installations and projectors it proves ideal for visual and audio entertainment and is essentially the heart of Egg LDN. The Terrace boasts a huge dance-floor with state of the art lighting, lasers and a high spec DJ booth with LED video wall perfect for corporate branding. The Terrace is an ideal extension when hired alongside the Ground floor and Garden for larger events which need a little more, offering an area to create interactive zones or something a little unusual and different. The newly extended and spacious second roof terrace accessible from the room is ideal for reception drinks, summer barbecues and team building exercises. 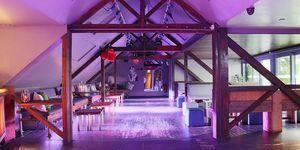 The Loft’s intimate ambiance is perfect for smaller celebrations or pre-club hire, whilst providing an ideal break away area from your main event for cocktails and canapés. A cross between a unique industrial style interior crafted with reclaimed materials from the local area and low level lighting framed by New York loft style wooden beams, the Loft’s exclusive feel is further enhanced by its own entrance, DJ booth and dance-floor, looking out on a fully furnished private roof terrace. 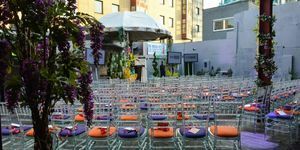 Originally a stand alone venue with its own private garden area, Apothecary is regularly hired as a beautiful addition to the main Egg LDN venue. The large antique chemist bar is the centrepiece surrounded by rich leather seating, red velvet and chandeliers. 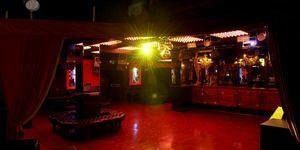 The stage makes it the perfect choice for a range of performance events and live music from acoustic sets to full band set ups, with ample floor space to offer cabaret style seating or an intimate dining experience.